Migration watch; 07.10 - 12.00hrs and 17.00 - 17.40hrs. 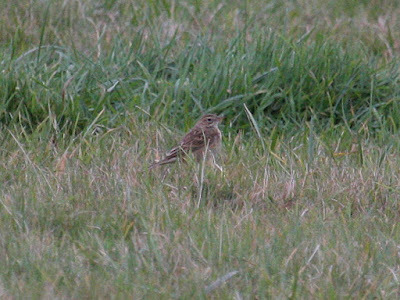 Yet another Richard's Pipit was found today! 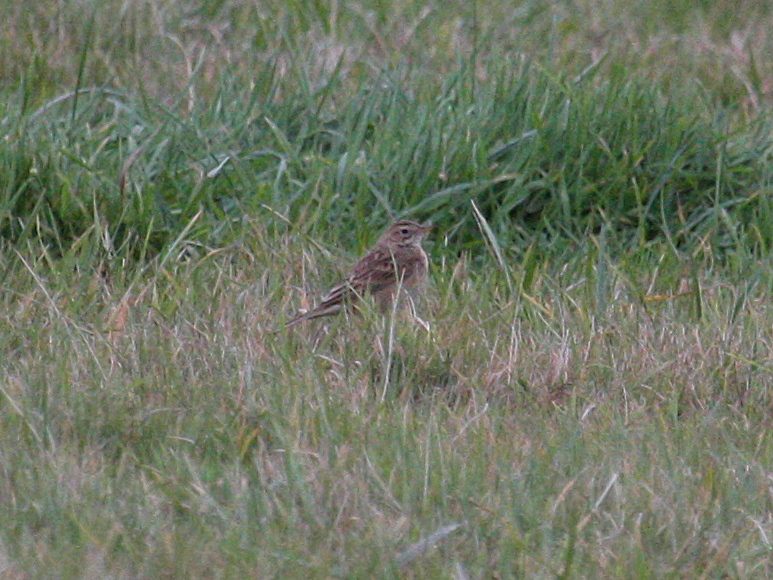 It was in fields to the south of the Hayburn Wyke PH where one wintered, last being seen in March this year. With this bird being an adult and preferring the exact same spot it would seem highly likely it is a returning bird. 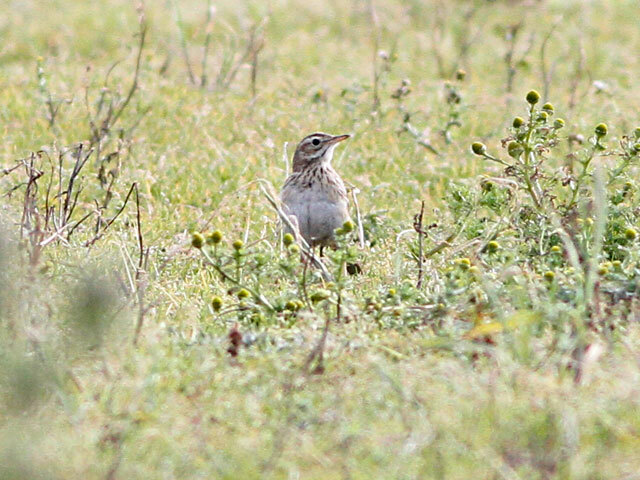 The two Richard's Pipits (today confirmed as 1st winter birds) remained at Long Nab where there was also 1 Golden Plover, 38 Skylark, 18 Meadow Pipit, 8 Blackbird, 1 Fieldfare, 5 Redwing, 1 Song Thrush, 2 Goldcrest, 40 Tree Sparrow, 140 Linnet, 7 Lesser Redpoll, 1 Snow Bunting and 6 Reed Bunting. On the move there (south unless stated) were 7 Red-throated Diver, 13 Gannet, 9 Cormorant, 2 Shag north, 2 Whooper Swan, 2 Egyptian Geese north, 3 Teal, 9 Common Scoter, 1 Goosander, 1 Dunlin, 306 Black-headed Gull + 3 north, 72 Common Gull, 7 Great Black-backed Gull, 28 Auk sp, 2 Skylark, 15 Meadow Pipit, 1 Rock Pipit, 1 Grey Wagtail, 2 Greenfinch, 10 Goldfinch, 7 Siskin, 14 Redpoll sp and 2 Reed Bunting. There was no sign of Wednesday's Richard's Pipit near Taylor Way and only 4 of each Jack Snipe and Snipe remained. A selection of Richard's Pipit shots.